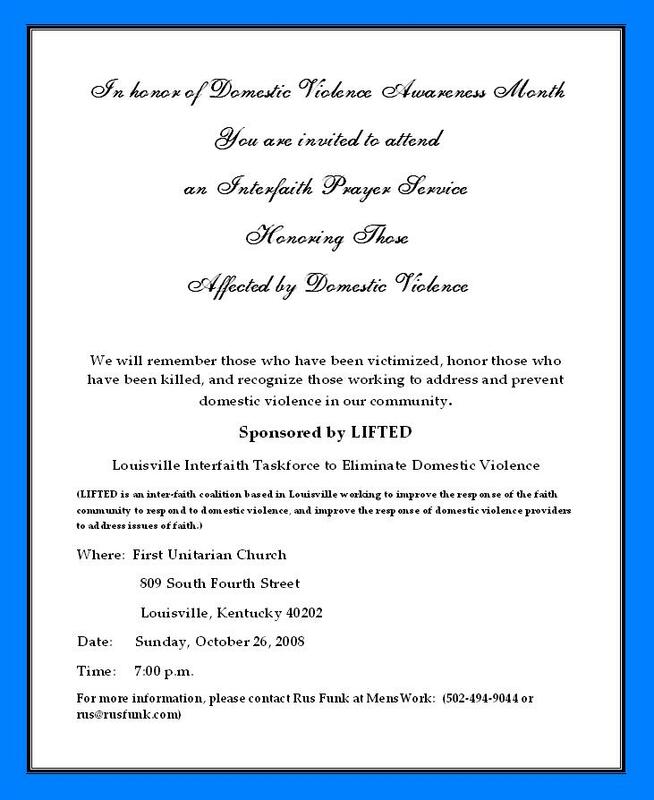 It seems appropriate that the Louisville Interfaith Task Force to Eliminate Domestic Violence (LIFTED) has been organizing an interfaith prayer service to honor people in the Louisville community who have been affected by domestic violence. 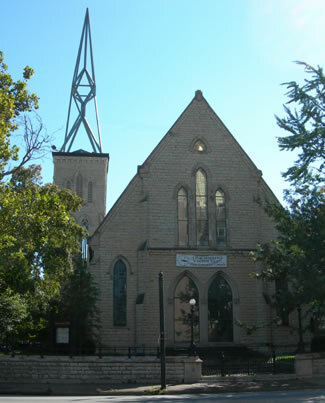 The service will be held Sunday, October 26, 7:00 p.m., at the 1st Unitarian Church, 809 S. 4th St., Louisville. As an interfaith service, the service’s prayer sounds with diverse voices, all of which speak out of the center of people’s lives, all of which cry out against the pain of violence in the intimate confines of the home and family, all of which perceive that God’s work in the world includes work to bring that violence to an end and to effect healing and wholeness in its place. Public worship, in all its varieties, performs the statement that the concerns brought forward in worship name places where humanity and divinity have something to do with one another. In worship, we become aware that what we do and say matters somehow beyond our narrow selves, matters in the scheme and scope of the ultimate. By bringing domestic violence forward as a focus for public worship, we say that this ongoing violence is a matter beyond the boundaries of a single house or a single relationship, or even of a million individual houses, a million individual relationships. 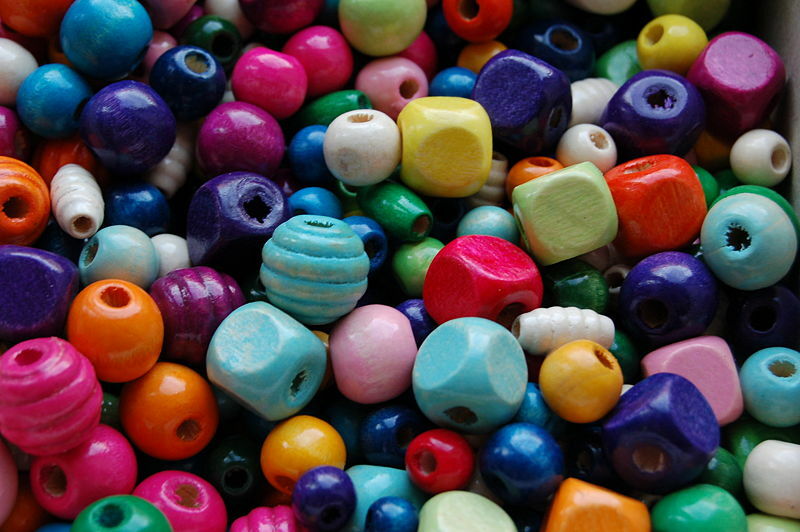 It is a matter that affects our common humanity, and our collective, communal relationship with the divine. 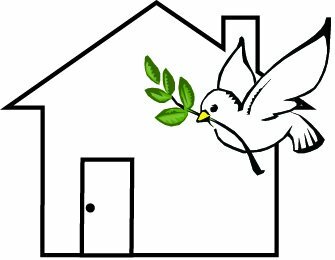 We pray that on Sunday evening this act of worship will, indeed, lead the assembled community into renewed recognition that work to end domestic violence is one of the places God is at work in our world, and to renewed commitment to join and support that work.